Are you a fan of Casino slot games? Then this is a must have Free Casino Android App. Pokies HD Casino is one of the best out there. Graphics are almost perfect and there are a lots of offers, spins, bonuses and Jackpots. Pokies HD Casino offers 2 games for now. Developers inform that there will be a lot more. The first game is Gonzo's Quest Video Slots which is a slot game with very interesting graphics, nice design, creative symbols and sounds. When you win, Gonzo's is happy for you and dances on your screen, which is very fun to watch. I experienced that the game has no glitches, everything runs smoothly and fast. I got to be honest. 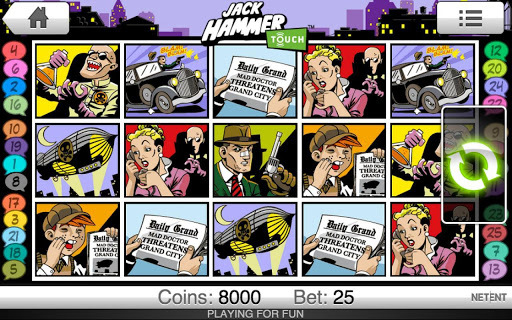 I liked Jack Hammer Video Slots more, because I liked the pictures more. Jack Hammer offers 25 paylines, and remember if you see the Jack Hammer symbol you are going to win big. Also, you are going to win most during the free spins. 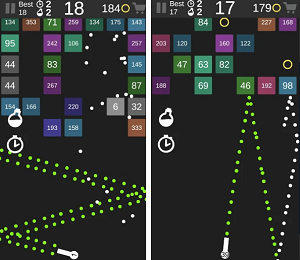 Game is very colorful and creatively designed. There are no glitches and again, like in Gonzo's Quest Video Slots, everything runs smoothly. I like these 2 free casino games and I'm waiting for more games to come from this creative developer. OutBooster Review - Does OutBooster Work? Why Use Pinterest for Your Blog?